BASKETBALL—The National Basketball League faces further embarrassment and could see Wednesday’s called off as referees continue to sulk and sit out. That last week some coaches and even a player had to step in and volunteer to umpirise games was already laughable enough. Such is the nature of Ugandan sport and its romance with levity one that provoke a brief laughter in a grim landscape. But the situation seems far from over and unless Fuba acts swiftly to sort the pay dispute that has seen referees make the decision not to take to the courts today, fixtures between UPDF Tomhawks and Nkumba Marines (men), and JKL Lady Dolphins and Nkumba Lady Marines could be called off. The behind-the-scenes row brewing between Fuba and referees became known last weekend when a number of referees and umpires boycotted league games, opting to moonglight at a schools tournament. PML Daily has learnt that referees and other officials are demanding salary arrears stretching back to last season. They claim that their patience has been stretched to breaking point, and that Fuba has been taking them for granted. On Sunday, the women’s game between Lioness and Javon Ladies was called off due to absence of referees by 9.30am, a stipulated tip-off time. In efforts prevent fixture pile up due to postponements, national team and City Oilers fitness coaches Ram Nyakana and Raymond Muhumuza, respectively, volunteered to officiate the rest of the day’s game. As the games took their toll on the pair of Nyakana and Muhumuza, Falcon’s Moses Olobo chipped in to officiate the final days’ game that saw Our Saviour beat Nkumba Marines 72-63. “We will have two meetings this week and hope to have the situation resolved,” newly-elected Fuba Vice President Grace Kwizera told the media after last weekends’ uncertainty. 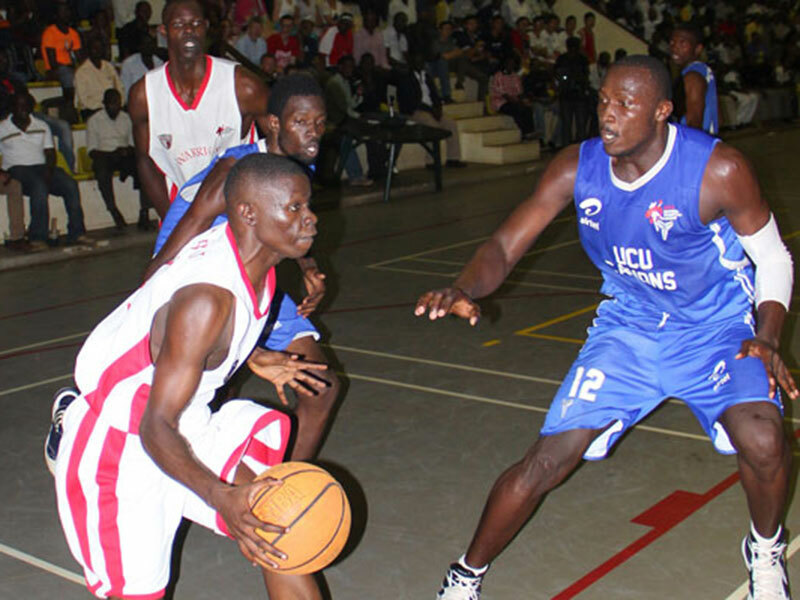 Federation of Uganda Basketbal Association claim that its coffers are empty as they have failed on their attempts to get new league sponsors since their partnership with telecom giants Airtel expired last year.